If you miss that old feeling of a cassette but also want something with modern features, then you've come to the right place. 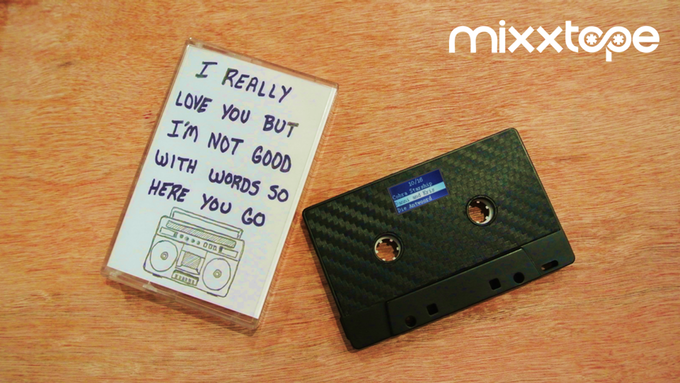 Hooked on a Feeling by Blue Swede comes on following by the camera zooming out of the infamous cassette “Awesome Mix Vol.1” from Guardians of the Galaxy, everyone falls back into the nostalgia of having or making a mixtape for either themselves or for their crush. Ladies and gentlemen, the iconic glory of cassettes are back. Not only are vinyl sales going up right alongside cassette sales, but people are also supporting campaigns like the MIXXTAPE music player to (perhaps) relive their youth or enjoy the nostalgia. 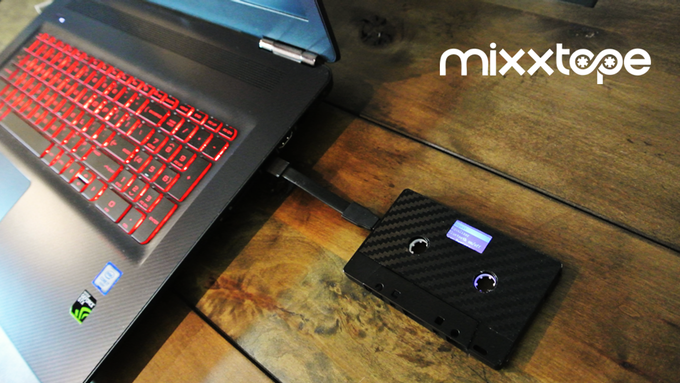 MIXXTAPE is a fully functional music player on the inside but a conventional cassette on the outside. It’s modern meets nostalgia. This campaign has raised $77, 167 on Kickstarter with 1,151 backers, meaning the project is currently 771% funded. This retro style music player has a built-in LCD and touch controls, headphone jack (stereo 3.5 mm HiFi audio output) as well as Bluetooth 3.0 + EDR so you can connect to Bluetooth speakers and headphones. It also has a memory card slot which supports microSD, an internal rechargeable battery with 12 hours of playback and it fully recharges itself in less than an hour. It supports formats like MP3, WAV, WMA, and ACC among others. It also has a USB 2.0 Port so you can connect to a PC or MAC to transfer music. Most importantly, the coolest feature of this carbon fiber finished MIXXTAPE is that you can actually play it as a cassette in most standard cassette players. If you still have one of those Walkmans or boomboxes in a box somewhere in the basement, it’s time to take them out, dust it off and bring it to 2017 for some reusing. It is true! People are into this now more than before. According to Billboard, cassette sales went up 74% in 2016. The reason behind the crazy growth in sales could be the specialty releases of Justin Bieber’s and The Weeknd’s albums along with Eminem’s and Prince’s albums as well according to Billboard. “The mixtape was the purest product of the cassette age, a lovingly prepared journey through someone’s musical taste. The maker controlled the rise and fall, the moods and the motion. It was a democratized concept album with a very particular, personal story,” wrote MIXXTAPE on its campaign page. 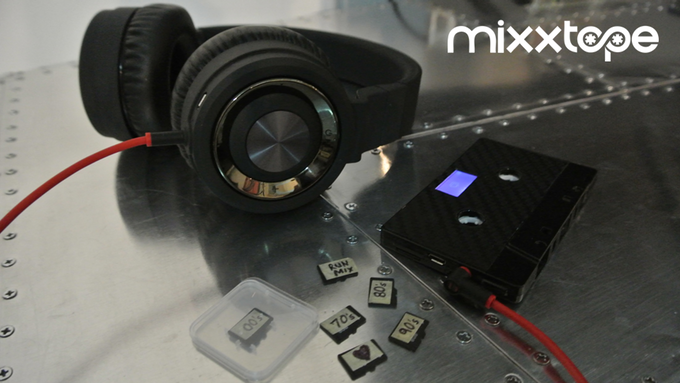 MIXXTAPE is currently available on its crowdfunding page for $40 per unit (50% off of the suggested retail value). Estimated delivery is November of this year and it currently ships worldwide. Bring the cassette tape back in full force I see 🙂 I think the price is well worth it to have a customizable option for your music in cassette form. Could you imagine the look on your kids’ faces when they see you pull that thing out of the glove box? I cannot get enough of this! What a great idea and the fact that my old truck has a cassette player and is going to be playing one of these very soon makes the story even better! I see the description does not mention that you can actually play it in your car. Is that just because of the assumption there are not tape decks in cars or truck anymore or that the technology is too new for the tape decks to recognize? I am all over this. The technology for a cassette with Bluetooth built in is so simple, yet makes perfect sense in today’s world. Love it! I agree and think that we should all own one because it is so awesome! This is AWESOME! I still drive a car that has a cassette player and I hate having to hook my iPod up to the tape device so I can listen to it through my speakers. This would allow me to listen to my own music without the cords and hassle, right?